Beads, hooks and a things small need some type of storage other than the zip lock bag they originally come in. 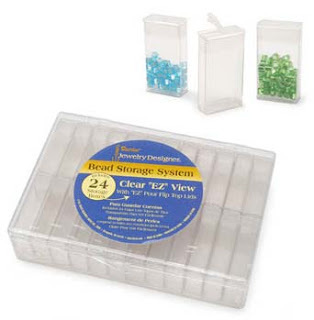 Here is some ideas for storage. I use the box above for storing small hooks. 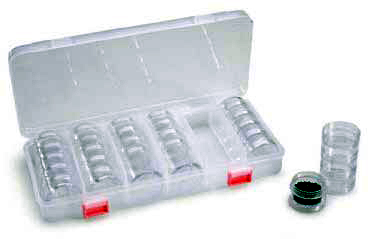 Each round container has a screw on lid to eliminate spilage of hooks going all over the place. These boxes above can be found a Michaels craft stores. They make great fly boxes for small flies. 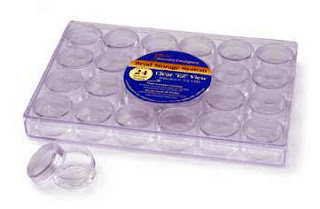 Another idea for these boxes/containers is to drill a hole in each one and fill them with your favorite dubbing. 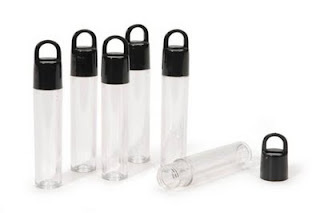 Great little items to save the day. It's amazing at the different little storage containers that you can find at a craft store that work perfect for the tying bench.